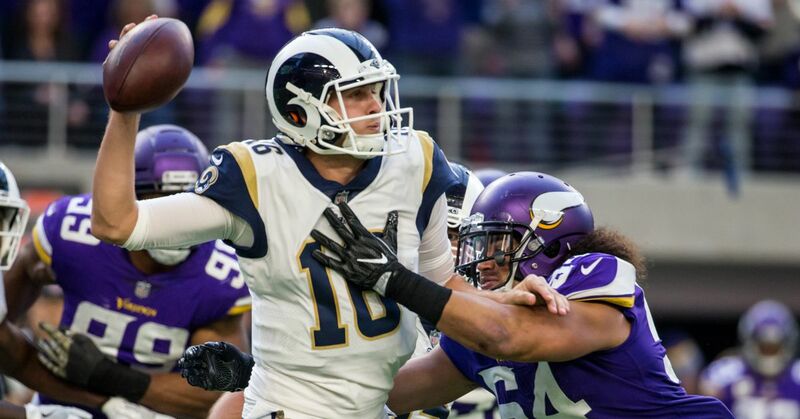 The Los Angeles Rams suffered a disappointing 24-7 loss to the Minnesota Vikings. Despite a large disparity on the scoredboard, the Rams were much closer than the score indicated with turnovers in the red zone and uncharacteristic big plays given up by the defense. However, fortunately for the Rams, the Seattle Seahawks had a tough matchup with defending NFC Champion Atlanta and lost a close battle at home against Matt Ryan and Co. The Rams excited their game from the Vikings with disappointment. After winning four in a row, including impressive games over the Dallas Cowboys, Arizona Cardinals, and Houston Texans, the Rams fell back to Earth and scored the fewest points for the season. To add insult to injury, Robert Woods, the Rams surprise leading receiver is out with a shoulder injury for at least a couple of weeks as the Rams continue through a tough sled of games (Saints, Cardinals, Eagles, Seahawks). The Rams will face the 8-2 New Orleans Saints this week. In an entertaining Monday Night Football game in Seattle, the Seahawks started out a bit slow and being forced to play catchup. With the Falcons starting to play better, the Seahawks came up just short when the Blair Walsh kick with the time running down falling……short. The Seahawks, like the Rams, also enter a tough sled of games to close out the year with matchups against the Eagles, Jaguars, and Cowboys. This week however, Seattle is blessed with a game against the 1-9 San Francisco 49ers. The Cardinals lost to the Houston Texans on Sunday, 31-21. Led by Blaine Gabbert, the third string quarterback, the Cardinals offense came a little bit to life with a strong games from Gabbert and Larry Fitzgerald. The Cardinals get a tough game against the stingy Jacksonville Jaguars team. The 49ers enjoyed a bye week to get some rest and celebrate their win against the New York Giants. With somewhat a quarterback controversy after trading for Jimmy Garoppolo, the 49ers are exploring to start Jimmy Garoppolo despite C.J. Beathard’s win before the bye week. The 49ers host the Seattle Seahawks this week.